This is a blatant geek post because playing Team Fortress 2 is one of favorite hobbies. Anyone who knows me (gaming-wise), knows I like playing the Double Cross map. On this map there is a underhanded tactic called window sniping where a sniper stands sideways in he window and is able to shoot into the enemy courtyard. 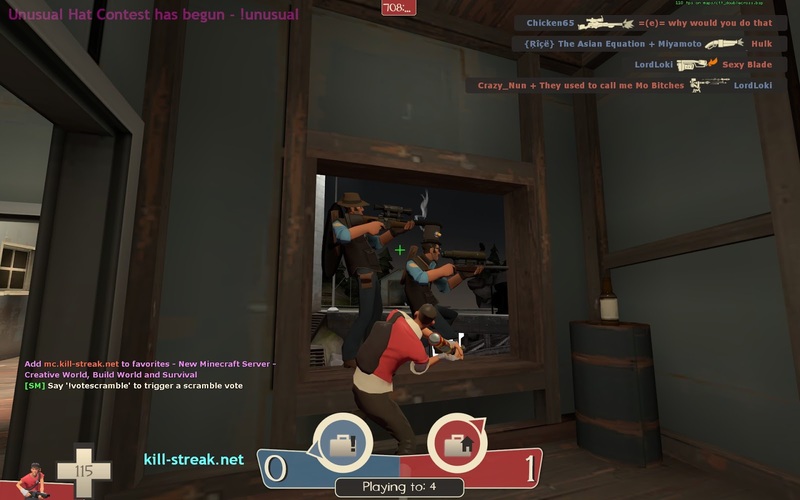 The other day, two snipers were hanging out in the window and I managed to get this screen cap of me taunt killing them both. Double Bonk!